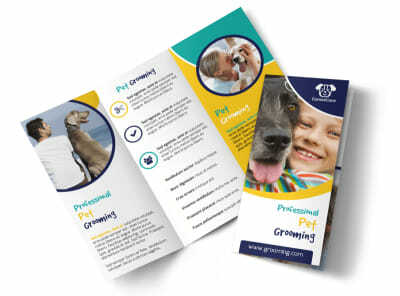 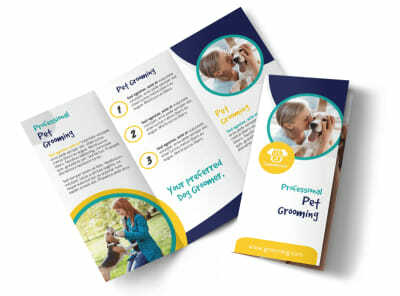 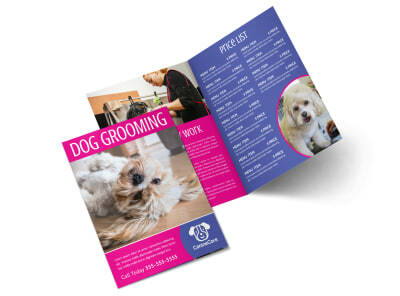 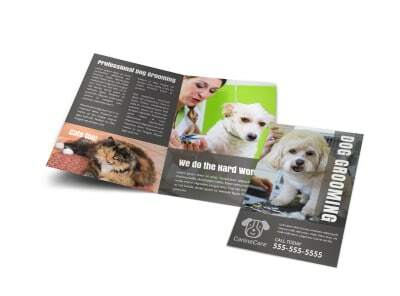 Customize our Clean Dog Grooming Bi-Fold Brochure Template and more! 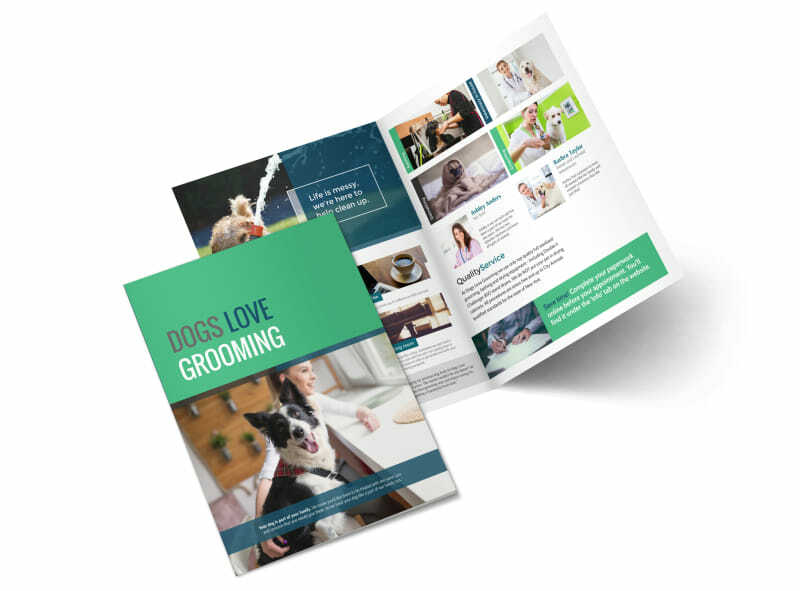 Dirty dogs are right up your alley, so let it be known with this doggone fabulous bifold brochure for promoting your dog grooming business. 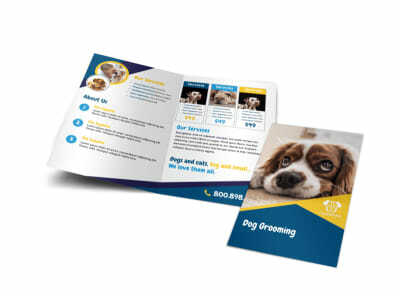 Share your expertise in the dog grooming industry with your own images and personalized text, and adjust the template’s design elements using our interactive online editor.